Lemon Quinoa is a very popular recipe. 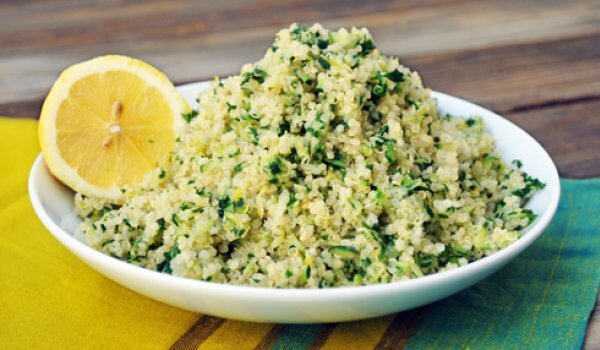 Learn how to make/prepare Lemon Quinoa by following this easy recipe. Roast pine nuts in a dry skillet over medium heat, stirring constantly for 5 minutes. Remove and set aside. Boil quinoa in lightly salted water until tender. Drain and cool slightly. Transfer in a serving bowl and add pine nuts, lemon juice, onion, cayenne pepper, cumin, and parsley. Sprinkle salt and pepper. Mix well.